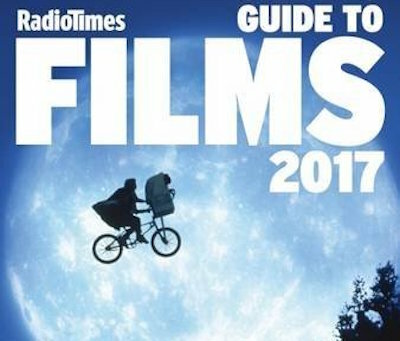 The Radio Times Guide To Films 2017, edited by Sue Robinson, follows the same format as its recent editions, with a vintage cover photograph (in this case, ET: The Extra-Terrestrial) presumably chosen to appeal to its older target demographic. (The traditional Barry Norman endorsement on the cover is an even more clear indication that the intended audience is 'of a certain age'.) It's increasingly surprising that there remains a market for the Radio Times Guide To Films, especially as longer versions of its capsule reviews are available on the Radio Times website, though long may it continue. This year's edition has 1,712 pages, exactly the same number as last year's edition. 24,039 film reviews are included, slightly more than last year's 24,017. There are 504 new entries (including more than 90 previews), meaning that many older titles have been deleted in order to maintain the same pagination. The total number of reviews is creeping up each year: there were 23,068 in 2012, 23,077 in 2013, and 23,099 in 2014. New reviews this year include The Hateful Eight ("an immoral western frontier explodes in typical Tarantino, blood-spattered fashion"), The Jungle Book ("finds magic and wonder in the CGI-enabled action"), Independence Day: Resurgence ("the story runs out of steam"), Listen To Me Marlon ("a terrific tapestry of a great star's life"), and Hitchcock/Truffaut ("too much awe and not enough insight"). The book is impressively up-to-date, with reviews of films such as Bridget Jones's Baby that are still on general release.